The Institute hosts 6 laboratories that provide hands on support to the various research activities. 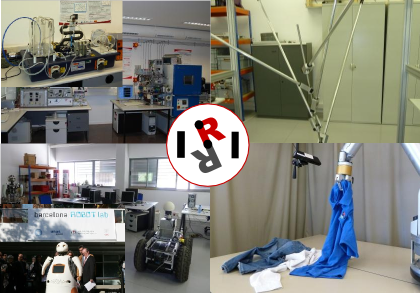 Four of these laboratories are devoted to build and test human centered robotics systems of all kind, including indoor challenging robotics applications, novel parallel mechanisms, and outdoor mobile robotic systems. The other two laboratories help the research activities in automatic control for energy management and fuel cells research. Complementary services also include a mechatronics workshop.